The 2014 spring eclipse season NASA’s Solar Dynamics Observatory begins Feb. 27, 2014. 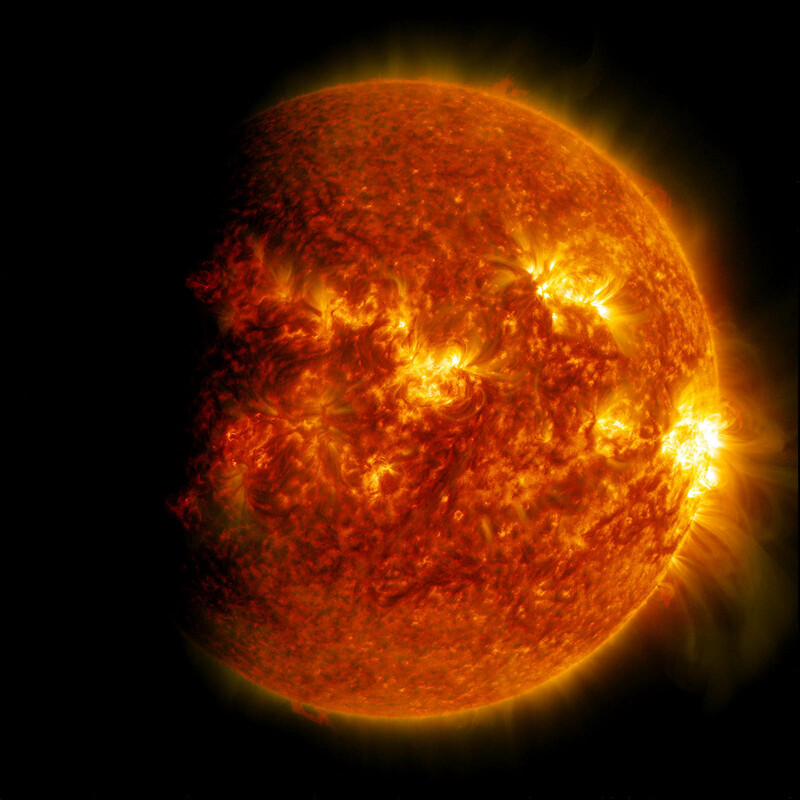 These seasons – a time when Earth blocks SDO’s view of the sun for a period of time each day – last around three weeks and happen twice a year near the equinoxes. The eclipses are fairly short near the beginning and end of the season but ramp up to 72 minutes in the middle. Any spacecraft observing the sun from an orbit around Earth has to contend with such eclipses, but SDO’s orbit is designed to minimize them as much as possible, providing near real-time observations of the sun. In the images one can see how the boundaries of the shadow of Earth on the sun are not perfectly sharp since SDO can see some light from the brighter parts of the sun coming through Earth’s atmosphere.